Do you have a fully funded emergency fund? If you’re a single income home, you should aim to have 6 month of “must have” expenses set aside into an easily accessible and liquid (i.e. cash / savings) account. If you’re a dual income family, you can likely get a way with 3 months, but 6 is better. Life is unpredictable and unexpected things happen all the time. 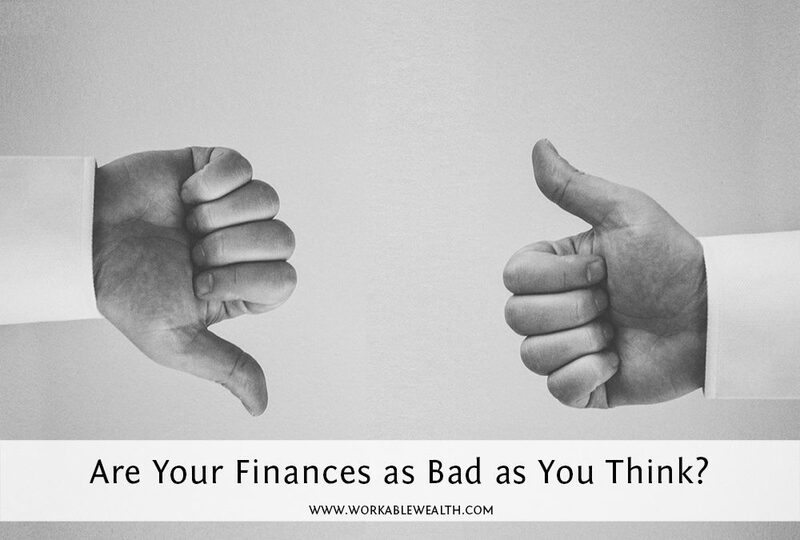 It’s not a question of if things will happen, but a question of when and your finances will be in a much better state if you have the cash set aside to handle those unplanned moments than if you need to rely on credit cards and dig yourself into debt. Is your credit score in the “excellent” range? Are you saving at least 10% for retirement? If you’re in your 20s, you should aim to save 10% of your income for retirement. If you’re in your 30s, aim for 15%. The earlier you start saving, the better and when it comes to determining how much you should save, it’s important to think through the future you want. Take the time to consider what it is you would love to do in retirement and when you think you’d want to retire. Are you able to meet everyday expenses? If you’re relying on credit cards and debt to get by, chances are it’s time for a financial change. Often times the reason people feel like they’re living paycheck to paycheck isn’t because they don’t have enough money. It’s that they aren’t wisely spending the money they do have. When this is the case, it can be a fairly straight forward exercise to get your cash flow in order so that you can meet everyday expenses with ease. It’s important to first understand your current spending habits by tracking your spending. Once you know where your money is going, you can determine which expenses you can eliminate altogether and other spending habits that could be altered to more easily cover your fixed expenses and align the rest of your money in the areas you care about the most. (Note, if getting out of debt is necessary – I recommend freeing up money to go towards a debt pay down plan). Do you feel well compensated for your job? Remember that when it comes to compensation, it doesn’t have to only be about the salary. You can also consider benefits, bonus structure, employee stock options, flexible vacation policies and work from home arrangements. If the income and benefits you earn for the work you do doesn’t feel good, it might be time for a change. Don’t be unwilling to negotiate a pay raise, especially after successfully completing an important project. If you’re working hard and doing great work, ask to be compensated for that. 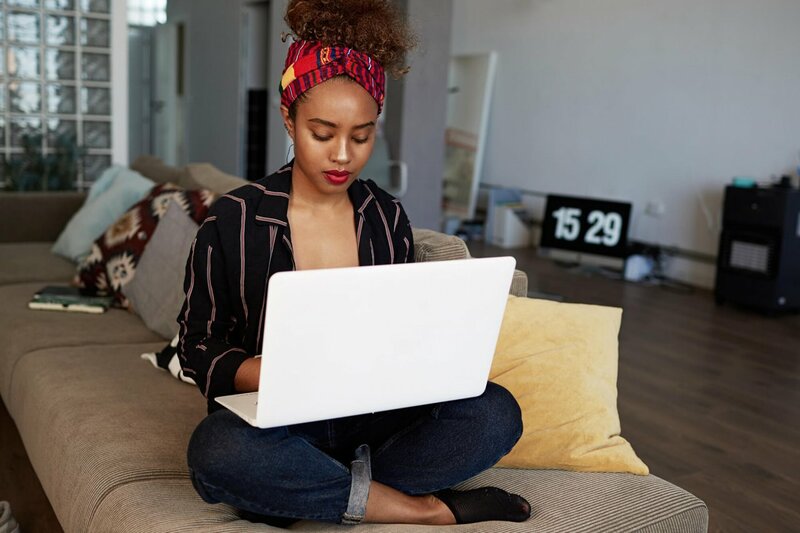 If your current employer isn’t able or willing to pay you what you’d like, are you ready to consider a move to another company or start a side hustle? Forbes reports that employees who stay in companies longer than two years get paid 50% less. If you don’t feel well compensated right now, know that you have options if you’re willing to take action. Is your net worth growing? Your net worth is your total financial worth – measured in dollars and is something I consider a measure of your financial health. After you take all your assets and subtract all your liabilities, what you’re left with is your total net worth. As the years progress, what you want to see happen is that your assets grow and your liabilities decrease. Start with where you are today – know your number – and keep track every 6-12 months to see if your assets are, in fact, increasing over time. If your net worth is stagnant or in decline, you’ll want to know what is causing the lack of growth so that you can tackle any issues getting in the way of your financial health. Do you have a debt pay down plan in place? If you have debt, you’ll definitely want to have a pay down plan in place. There are many ways to get out of debt, but the two most effective ways are the debt snowball and the debt avalanche. Both plans involve aggressively paying down one balance while making the minimum payments on the rest. The difference lies in what order you tackle the debts. With the debt snowball method, you pay off your debt from the smallest to the largest balance so that you establish good habits and roll more and more money into the next debt. With the debt avalanche method, you pay debts down from the highest interest rate to the lowest interest rate so that you pay as little in interest as you can and roll that savings into the next debt. The most important thing is to have a plan in place on how YOU are going to pay down your debt and stick to it. Are your taxes under control – did you owe or receive a refund? Ideally, you want to break even at tax time, otherwise you’re giving an interest free loan to the government if you get a refund (or you feel kind of annoyed if you owe). Zero is the goal! If you owed a lot for taxes or you received a sizeable tax refund, something went awry this year. The way to make sure you don’t owe again next year is to understand your tax liability and adjust your withholdings accordingly. Perhaps reach out to your human resources department to update your W-4 or adjust your quarterly payments if you’re self-employed and business is growing. Do you have the right kinds of insurance in place? Insurance is a tricky topic, but at a minimum you should ensure you have some sort of health insurance and disability insurance in place. In addition, you’ll need life insurance if there are others who are dependent on your income. Property and casualty insurance (such as auto, home, umbrella and renters insurance) are also important to have in place. Always work with your broker or agent to confirm you have the appropriate level of coverage needed for your situation. Don’t just guess at it! If you’re saving for retirement and your investments are sitting in cash, chances are the answer to this question is “no.” Your investments should be allocated based upon the time frame until you’re needing the funds. There’s debate between when to invest or not invest for short to mid-term goals, but if you need the funds in less than 5 years, a CD is going to be your safest bet. If you’re investing for the long run, ensure you have a mix of equities and fixed income, small and large firms and domestic and international. Leverage mutual funds and exchange-traded funds, which will help you to diversify when starting out with smaller sums of money. How many of the above did you answer “yes” to? If you’re 10 for 10, then chances are you’re on a solid financial track! If there are any questions that left you wondering or thinking you might need a change, there’s no better time than now to make some adjustments. The best thing you can do is be aware of how you’re doing and keep track of your financial health year after year.